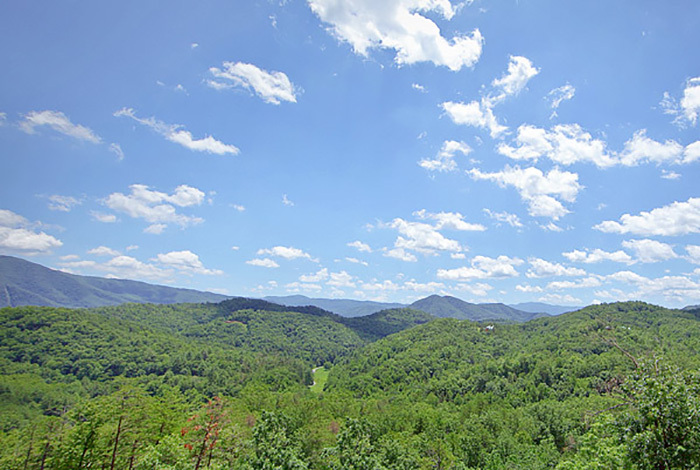 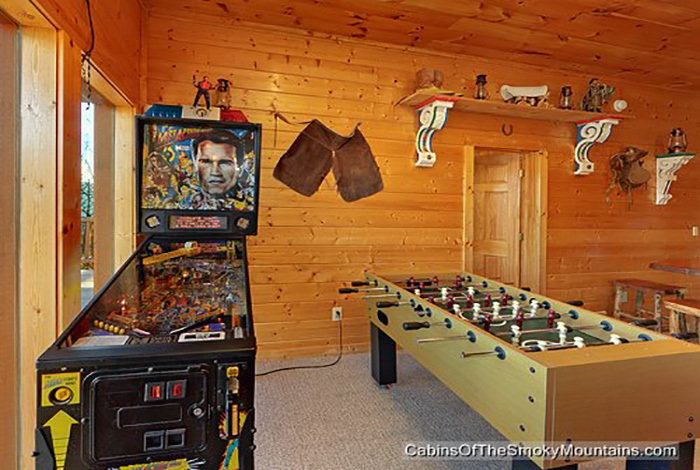 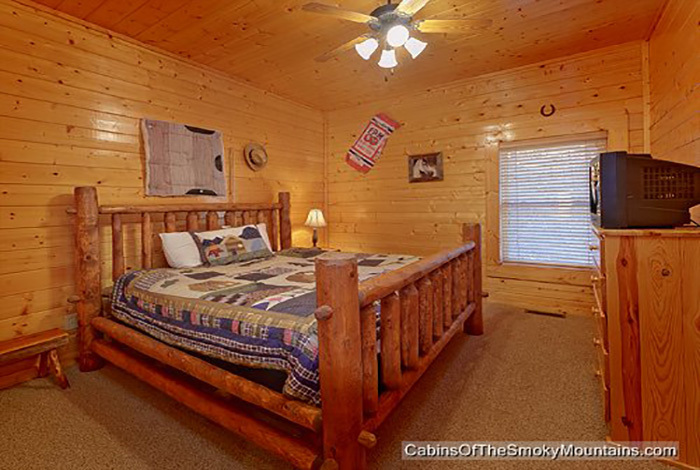 Looking to stay in the perfect 1 bedroom Pigeon Forge cabin? 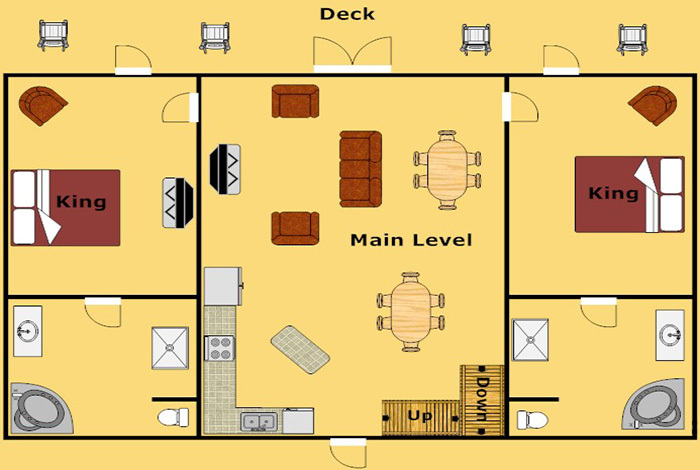 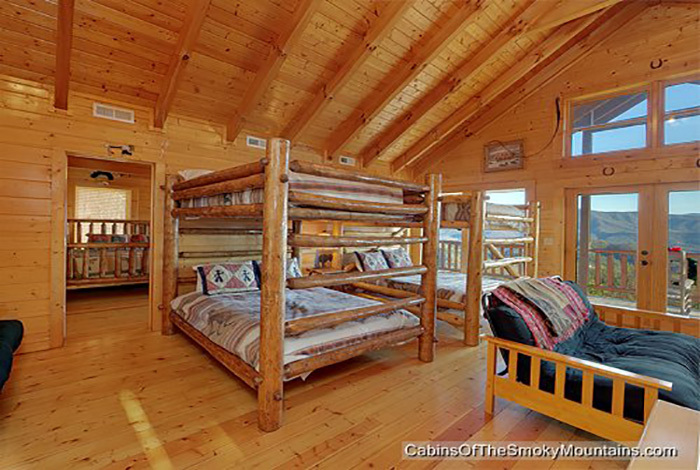 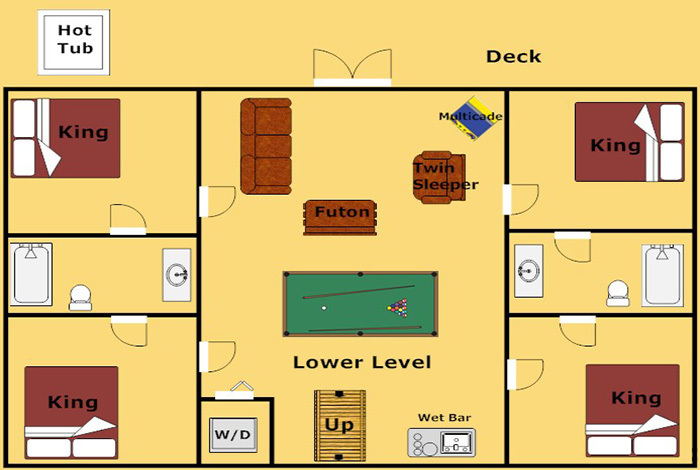 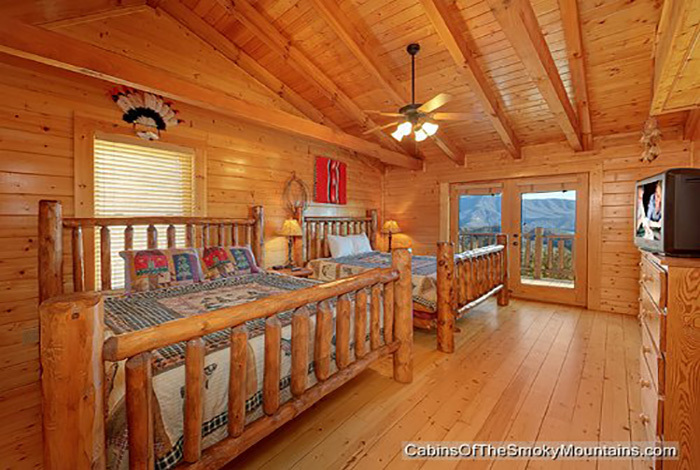 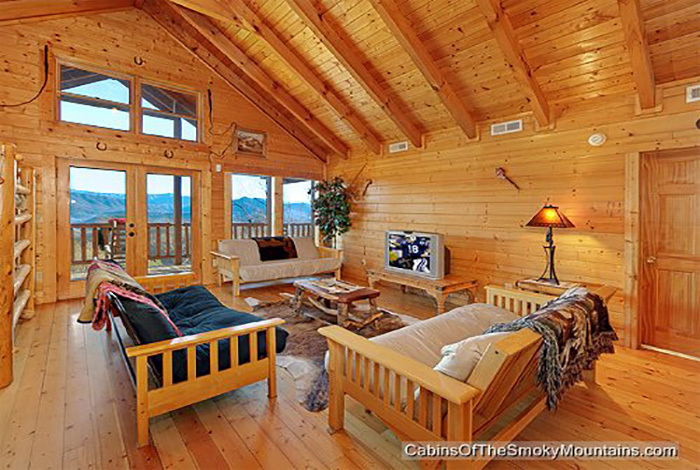 Then Mountain High View is the perfect cabin for you. 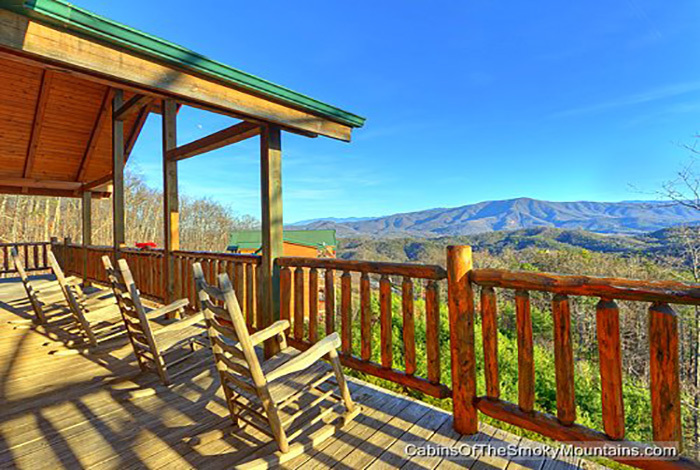 The name says it all Mountain High View has absolutely breath taking views of the Mountains. 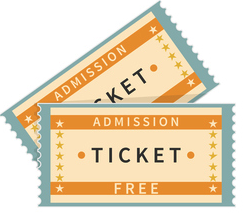 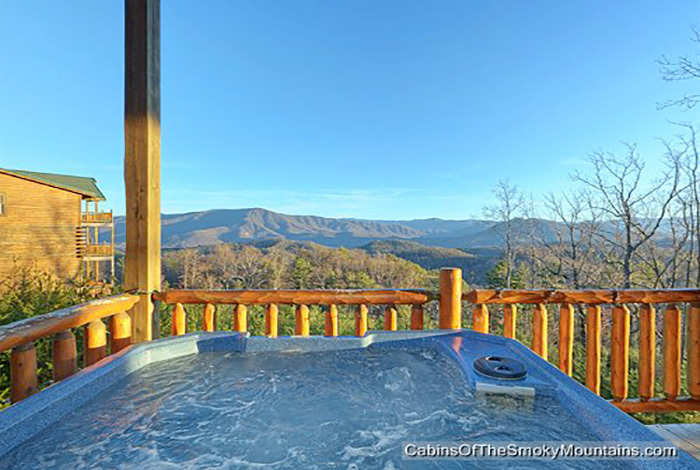 Located in the Hidden Springs Resort you will be only a few minutes to Dollywood and all the other great attractions in Pigeon Forge. 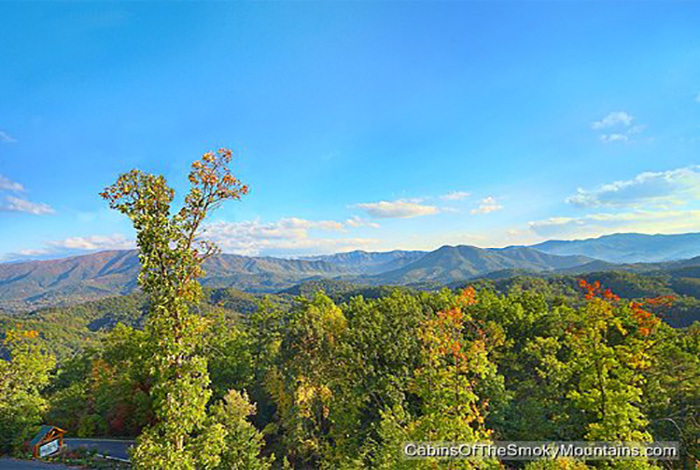 If your looking to do some hiking you'll only be a 10 minute drive to Gatlinburg and the Great Smoky Mountain National Park. 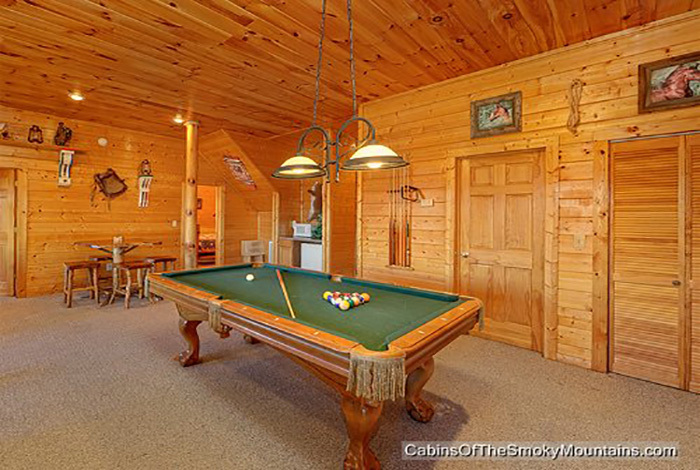 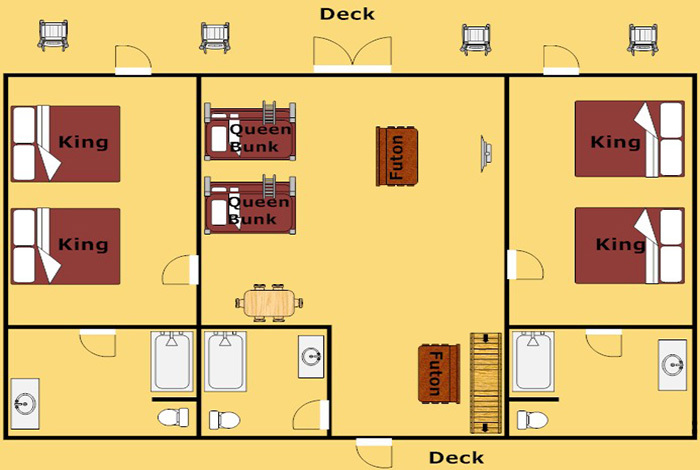 Stay in and enjoy a game of pool or escape from your stressful everyday life in the hot tub. 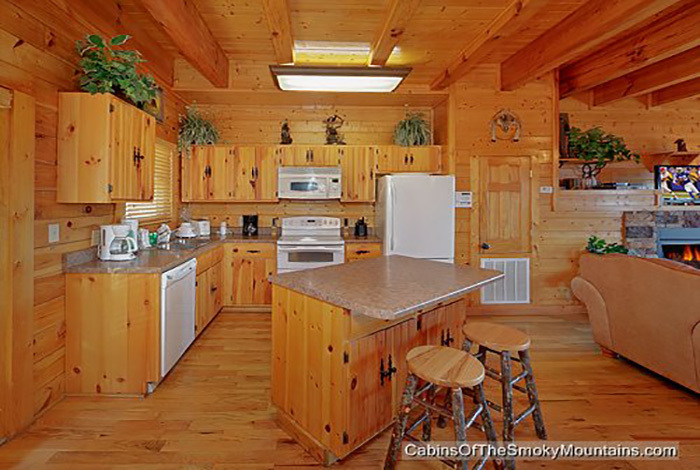 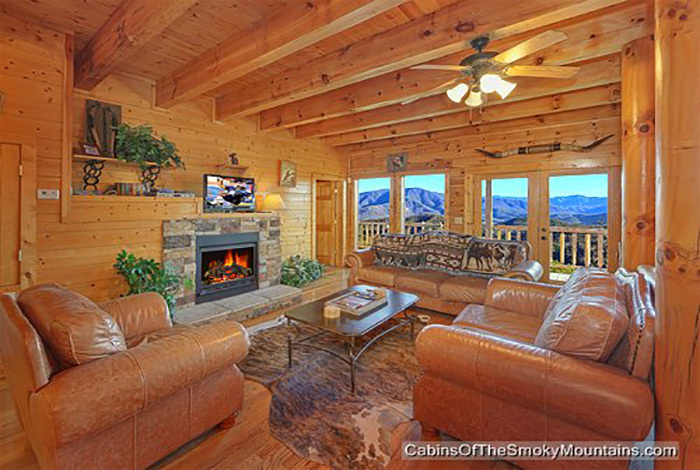 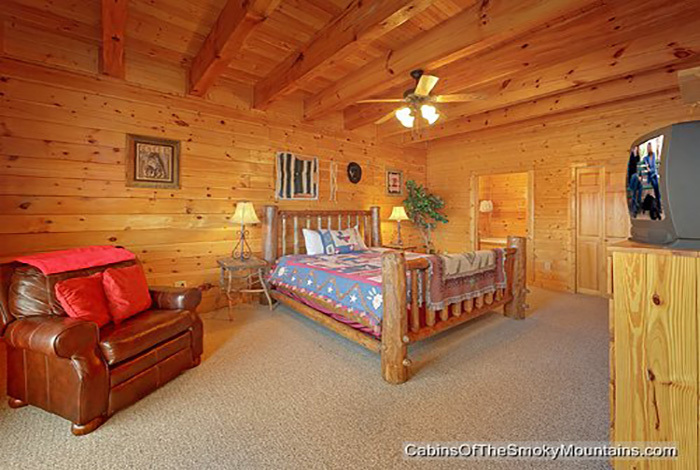 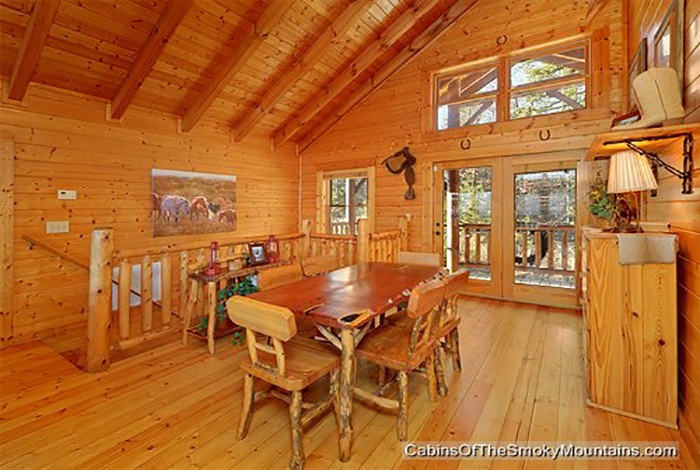 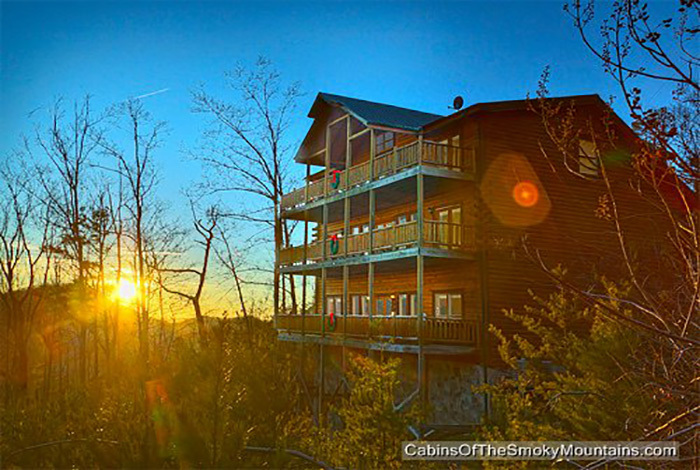 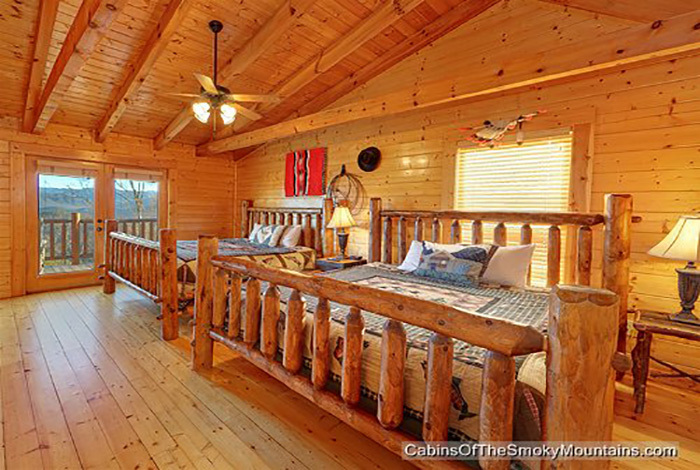 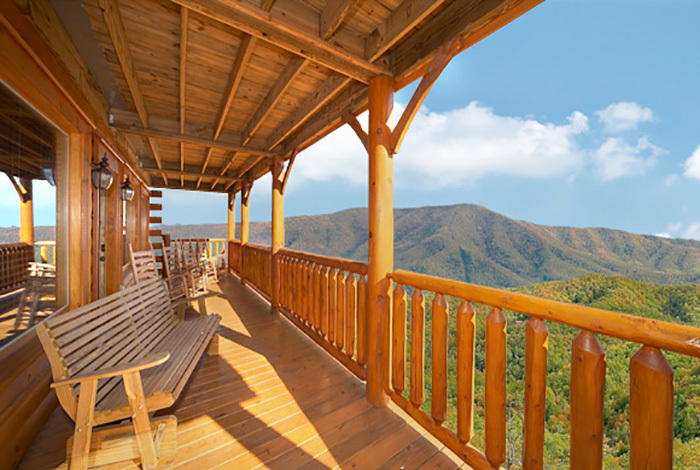 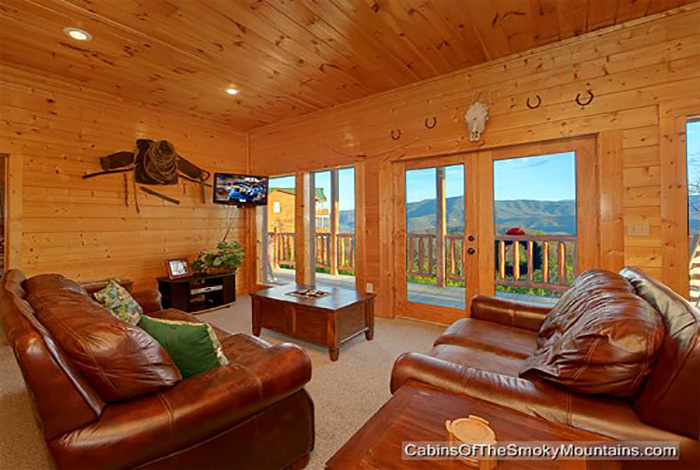 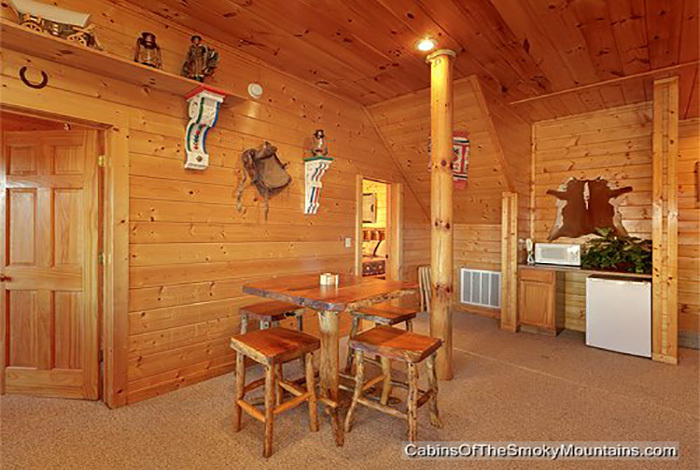 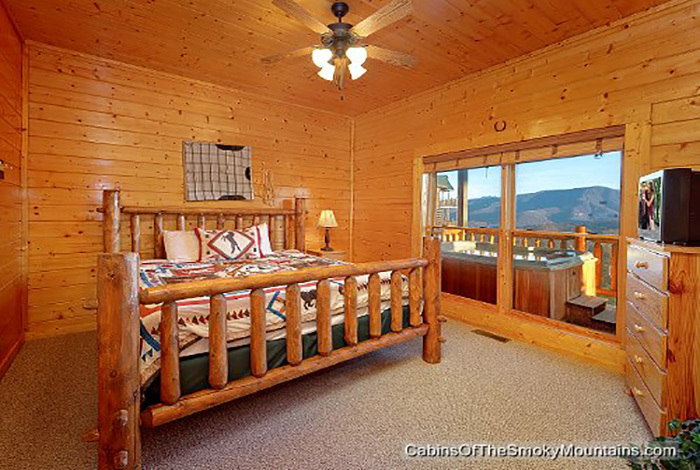 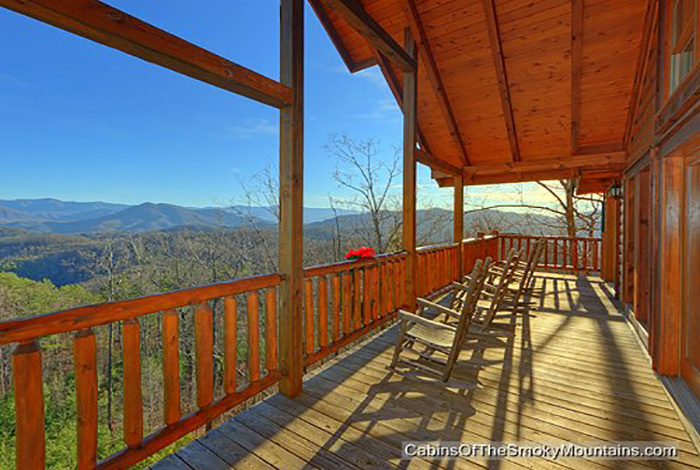 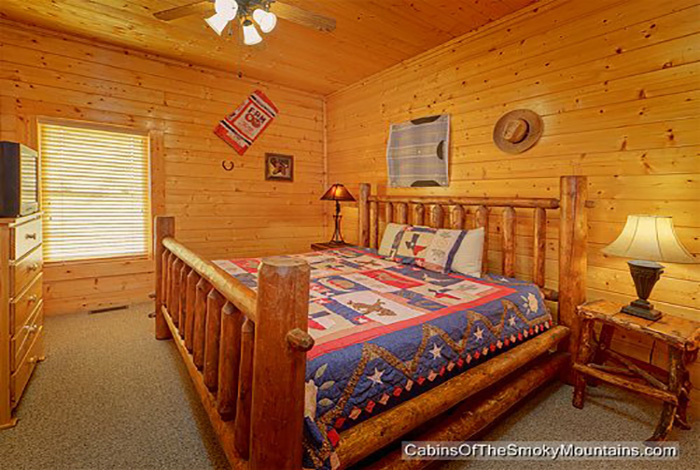 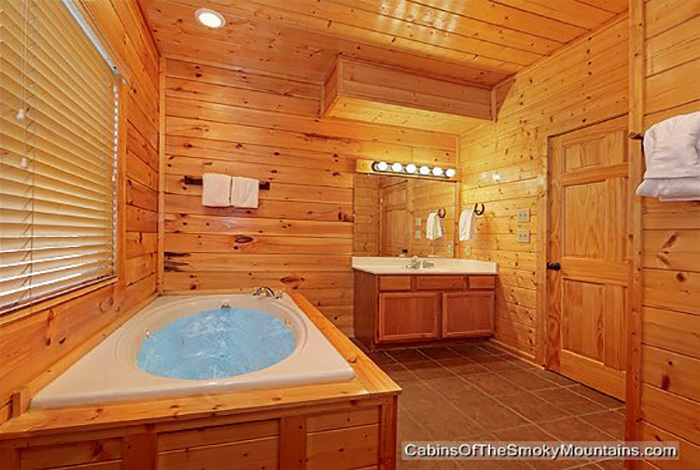 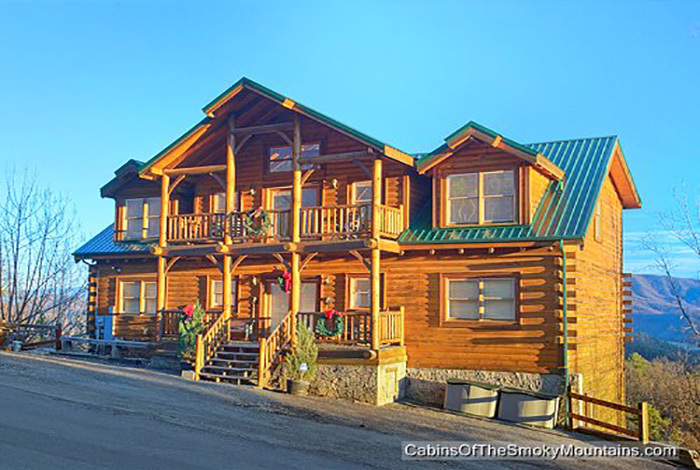 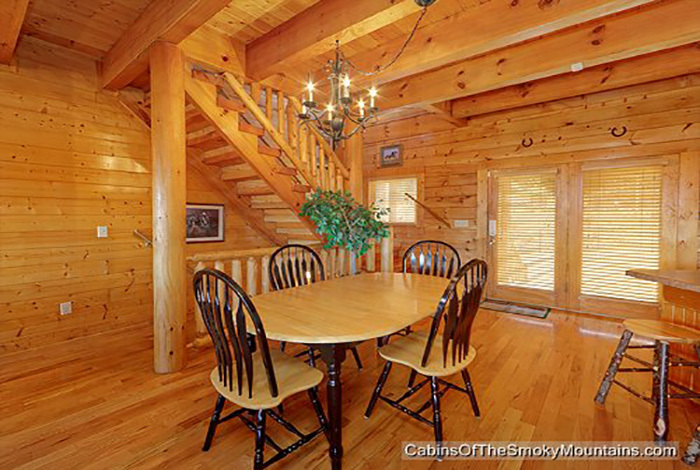 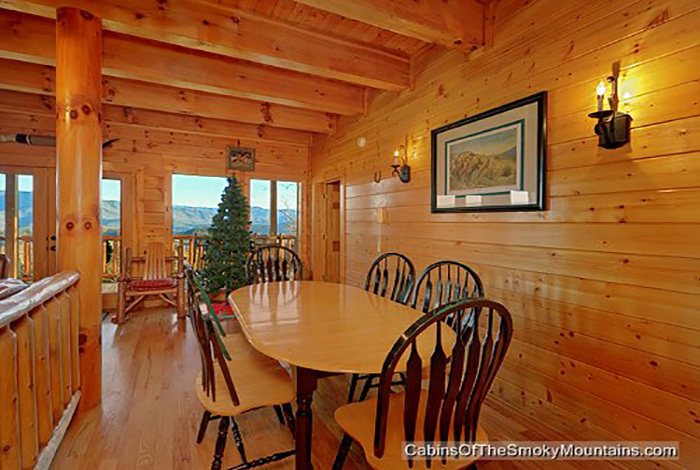 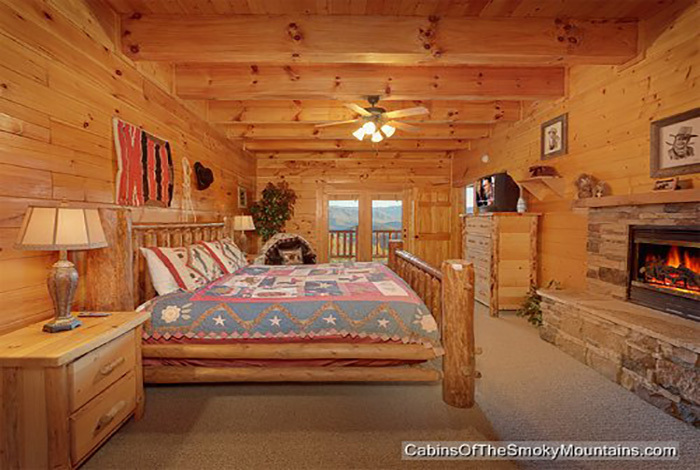 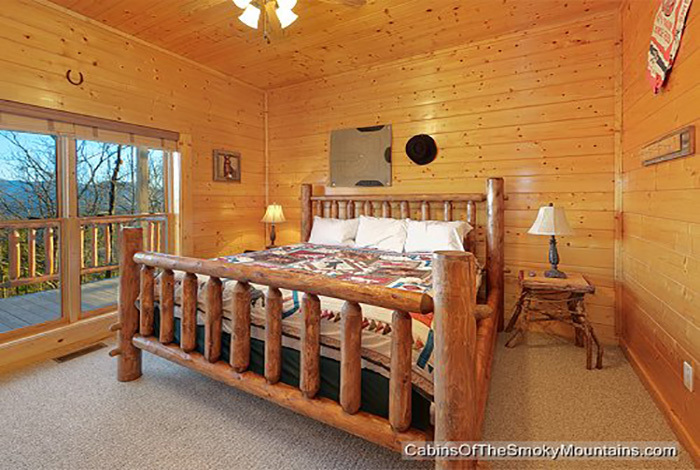 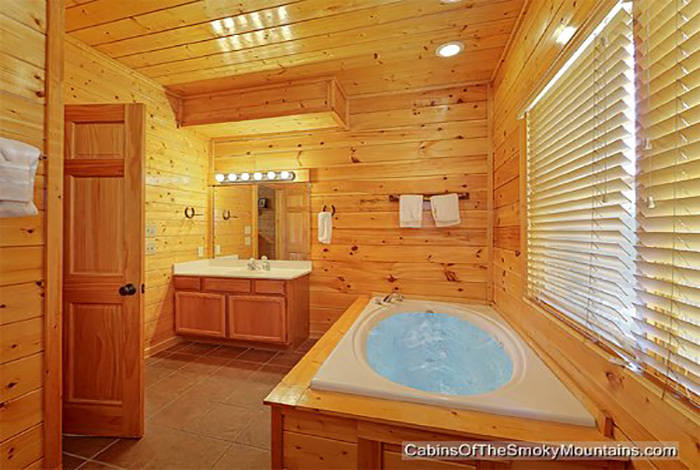 Be sure to stay in this great 1 bedroom Pigeon Forge cabin on your next trip to the Smokies and enjoy a Mountain High View.